The results are in!!! Congrats to all the winners, and thanks to all who participated!! Best Scripture Study Piece: The Drunk Mormon Podcast: The Frickin’ Golden Plates!! 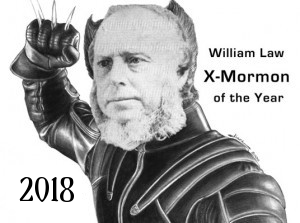 It’s time to vote for William Law X-Mormon of the Year 2018!!! Wow, we’ve got quite a list of X-Mormons to choose from in 2018!! McKenna Denson: In March of 2018 she confronted her former mission president and secretly recorded him admitting to sexual assault against her and others in a secret basement room in the MTC. More recently, she gave a testimony in his ward in which she accused him publicly. 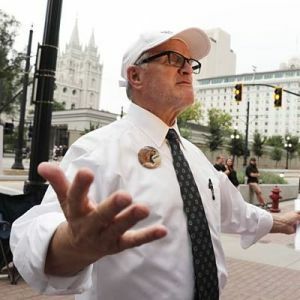 Sam Young: The primary organizer of Protect LDS Children (from closed-door sexually-related interviews), he went on a hunger strike and was ultimately excommunicated from the CoJCoL-dS in 2018. Kyrsten Sinema: In 2018 this BYU Alum was elected to the United States Senate — the first openly bisexual member of the US Senate and first female senator from Arizona. Bill Reel: In 2018 he was excommunicated for calling two apostles of the CoJCoL-dS liars on his podcast Mormon Discussions. Mark Naugle: He has provided free legal assistance to help thousands of people resign from the CoJCoL-dS over the past decade or so. Dan Reynolds: Singer of Imagine Dragons, Dan Reynolds has used his platform to advocate for the LGBT community in a positive dialogue with the CoJCoL-dS. 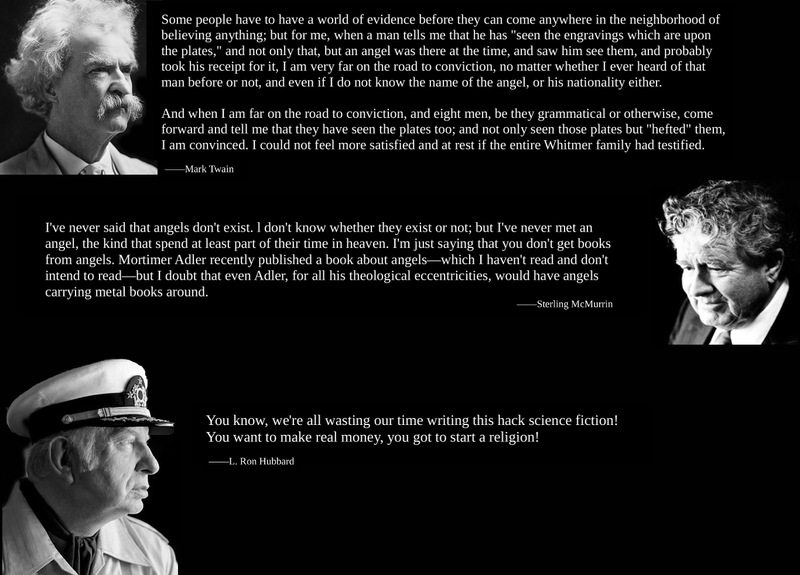 Mike Norton: Also known as NewNameNoah, he has published a number of recordings of various types concerning the CoJCoL-dS. He is most famous for his videos exposing the temple ceremony over the years, and more recently he has publicised some testimony meetings where people got cut off by the bishopric — McKenna Denson’s testimony, in particular, in 2018. The poll will remain open until Sunday, January 20, 2019 at 10:00 a.m. Switzerland time. And may the X-Mormon who made the biggest splash in 2018 win!! Collecting Nominations for the 2018 Brodie Awards!! The nomination process for X-Mormon of the Year is underway — please be sure to get in your nominations before next weekend when the voting begins. Now, it’s also time to start on the Brodie Awards!! The Brodie Awards are a fun little yearly activity intended to give some extra recognition and signal boost to the best LDS-interest content published/posted during the past year. This is your opportunity to review your favorite pieces, find out about great works you may have missed, and even promote your own work! As usual, I will start by posting a list of suggested categories (from last year), but the precise list of award categories depends on your suggestions. Please feel free to browse the sidebar for ideas on award categories we’ve used in the past for ideas. Below the suggested categories, I will post the nomination guidelines. Please nominate works that first appeared during 2018. The nominations will be open until mid-January, 2019, depending on my schedule. I will finalize the dates and categories and add my own nominations a few days before the nominations close and voting begins. How to nominate: Just post your nominations as comment to this thread, but please include links to the works you nominate. If your nomination comment ends up in the spam filter, please email me (chanson dot exmormon at gmail dot com) and I will fish it out. I can’t wait to review all of the best works from 2018!!! Collecting nominations for X-Mormon of the Year 2018!!! Hey folks — it’s that time of year again! Time to decide which X-Mormon made the biggest splash in 2018!! I will just say that — as always — getting excommunicated during the year in question is not a requirement… but it doesn’t hurt! Please post all your nominations below for the X-Mormon who made the biggest splash in 2018!! Thanks, and I look forward to your nominations! 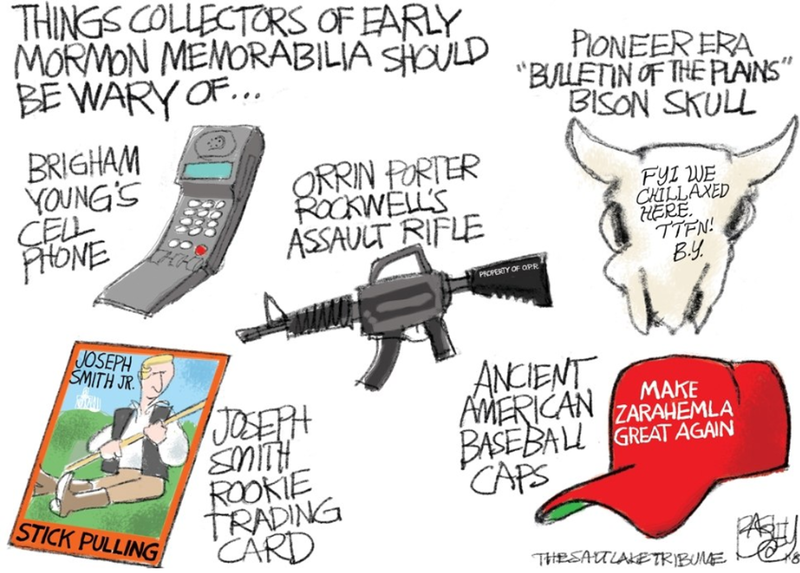 There is so much great stuff this year — I really hope that (like me!) you’re taking advantage of this opportunity to discover some great content that you may have missed! You have one more week!! Additionally, today I finished my first pass at updating the MAA website to reflect our new status as an indie publisher!! 😀 Check it out! We’re still working on the “about” page (clearly), but I hope to have it in a better state next weekend. Good luck to all on the Brodie Awards, and have a great week!! !